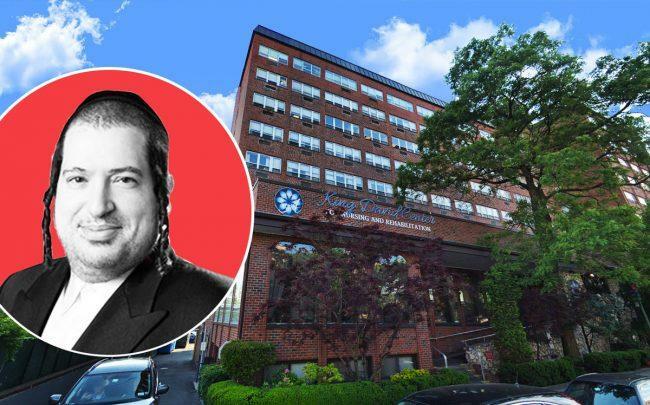 UPDATED, Nov. 7, 5:03 p.m.: Allure Group, the real estate developer at the center of the Rivington House nursing home scandal, is filing permits to build a luxury rental project on a site that also houses a Brooklyn senior facility. The firm and its partner Landpex Development are looking to build a 30-story rental property at 2266 Cropsey Avenue in Bath Beach, according to documents filed with the Department of Buildings on Wednesday. Allure and Landpex filed the permits under alternate addresses 2230 Cropsey Avenue and 1625 Shore Parkway. City records show a rectangular site, which runs the length of Cropsey Avenue between Bay 23rd Street and 23rd Avenue and is home to the King David Center for Nursing and Rehabilitation, a facility that provides long-term care for seniors. Allure told The Real Deal that the filing is not for the site of the senior facility. It is for the adjacent parking lot it also owns and a row of houses beyond. The company also said that the senior home will remain open, and that it plans to invest $10 million in the property. The new plans call for a 243-unit residential complex that spans 222,300 square feet. The proposed structure will be divided between 196,000 square feet of residential space and 26,300 square feet for a community facility. If approved as proposed, the building would be 326 feet tall. Amenities would include a fitness room and recreation area for tenants, a pool, a men’s spa and an outdoor lounge on the 23rd floor. There will also be a community day care facility on the ground floor. Allure acquired the property for $30.1 million in 2015, property records show. It was previously owned by the Sephardic Home for the Aged. The firm took out a $55.4 million mortgage on the property last June. Allure, headed by Joel Landau, was a central figure in the Rivington House scandal. It paid a $2 million legal settlement following an investigation by then-Attorney General Eric Schneiderman into the sale of the deed-restricted Lower East Side nursing home. It sold the building for $116 million in 2015 to Slate Property Group, which had planned a luxury housing development at the site. Landpex’s Joseph Flakowitz hung up the phone when asked about the project. Update: This story has been updated to include further information about the project site from Allure Group.